Staff meetings in any organization can sometimes be long or dragged out. Luckily, we added a twist to our monthly staff meeting. We made it a pizza party! 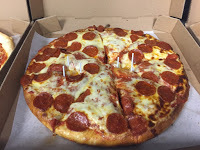 Each month, we’ll be picking up a pizza from around the Cumberland Valley and blogging our thoughts about it. 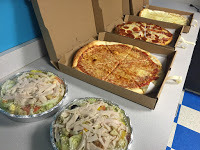 For our first month, we ordered from Vinny’s in Carlisle. 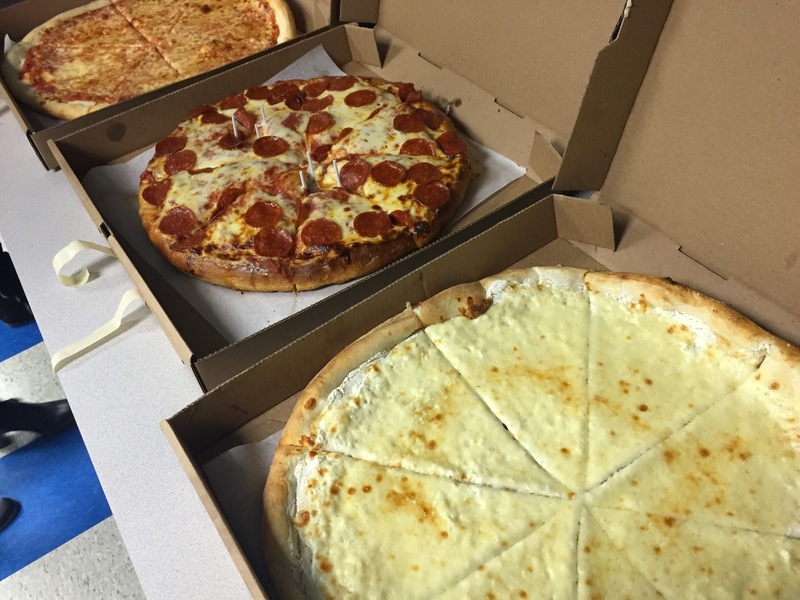 Vinny’s is located along Hanover Street in Carlisle and is only a few short blocks from our office. 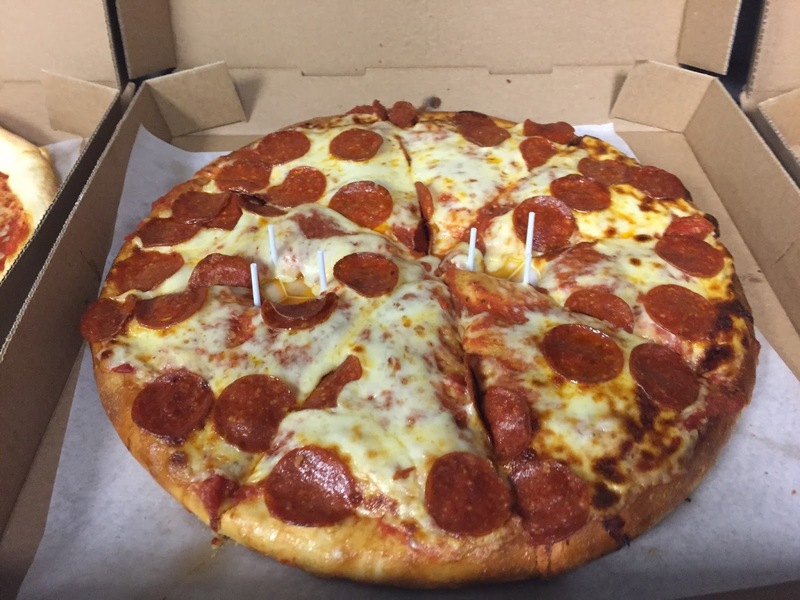 Vinny’s pizzas are split into two categories: thick and thin. Thin is your New York-style crust, while the thick is more of your Chicago deep dish. Vinny’s specialty in the Sicilian Thick Crust, so we had to order a Thick Pepperoni, along with a Thin Plain Cheese and a thin White Pizza. The Thick Pepperoni seemed to scare some people off due to its size, but it’s what I wanted to try most. The crust while obviously bigger and deeper, was also quite different than the other crusts. It was crispier, reminding me somewhat of Pizza Hut’s crust. The slices were large, so I stopped at two, but it was very good, and I would likely go with a thick crust again from Vinny’s. The Thin Plain can come across as a little boring in comparison to the other two, but was also the easy choice from our staff. The Plain was solid, with a nice combination of sauce and cheese. Can’t really go wrong with either thick or thin from Vinny’s. The White Pizza was interesting, but from feedback I heard, it was very good. If you’ve never had it, White Pizza uses Ricotta Cheese and doesn’t actually have tomato sauce. If you’re looking for to try something a little different, go for the White Pizza. What other pizza places should we try? Leave them in the comments below.